We are pleased to welcome new member Locuz Enterprise to the Intel® Cloud Builders program. 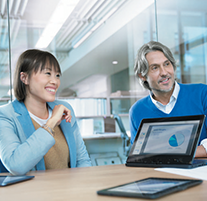 Program membership connects you to Intel technologies to drive time-to-market solutions, a rich ecosystem for strategic matchmaking, and Intel go-to-market channels in which to spotlight your solutions. Get to know these members and more by visiting their individual microsites posted on our membership page, as well as technical papers published in Solutions Library. Join us April 19-20, 2017 in Santa Clara, CA, USA, for technical presentations and interactive discussions specifically designed for developers in cloud and storage space. Our cloud and storage architects and engineers will discuss the latest Intel data center technologies including the Storage Performance Development Kit (SPDK), SPDK File Semantics (Blobstore), KVM/QEMU I/O Efficiency, User Space NVMe-oF Target/Host Solutions, as well as sessions presented by developers building real-world SPDK applications. The second day will include additional technical sessions on Intel software and technologies adding value to software defined infrastructure. In this course, Mirantis* Technical Instructor, Devin Parrish, helps viewers to know more about Openstack* by discussing the history and components of the software, the Openstack Foundation, Openstack benefits, and how the software has evolved. This course provides a brief overview of Red Hat's involvement with the open source community. 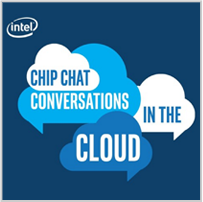 In this podcast, Narendar Shankar, President of OnApp Americas, discusses a wide array of topics from OnApp and Intel's private cloud-in-a-box, to artificial intelligence in the cloud infrastructure domain. In this episode of Conversations in the Cloud, Steve Garrison, VP of Marketing at ZeroStack joins us to discuss ZeroStack's self-driving private cloud and its integration with a broad ecosystem of market leading software and hardware vendors, including Intel. This webinar covers the real USPs of private cloud for SMB and enterprise customers, and introduces a new turnkey, white label 'private cloud in a box' solution that combines the OnApp cloud management platform with Intel server, storage, and networking products. This webinar shares practical advice for people building or managing private/public clouds on how to improve ROI. It also goes through the various components of a cloud and shares hints on optimizing each component - compute, network, storage & software stack. In this webinar you will learn how to power data-driven growth for your organization by effectively leveraging the opportunities offered by hybrid cloud, as well as how to connect cloud environments through a data fabric. 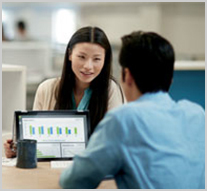 Cisco has developed the Cisco Business Cloud Advisor (BCA) framework in collaboration with IDC. 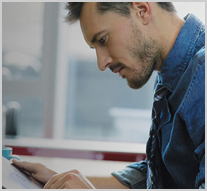 This webinar talks about how Cisco BCA helps you continuously improve your multicloud environment following proven and vendor agnostic methodologies.